Warriors new recruit Michael Fatialofa says that he cannot wait to play in front of a full house at Sixways. The 26-year-old lock arrived in Worcester last Thursday after a successful season in his native New Zealand during which he played for the Hurricanes and helped Auckland win the Mitre 10 Cup. Fatialofa has spent his first week in England familiarising himself with his new surroundings and getting to know his new team-mates but he will step up his training schedule next week. 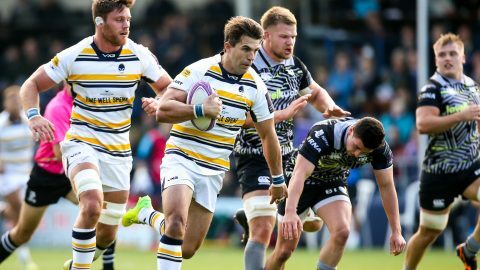 “I’m looking forward to getting to know the boys and playing in front of a packed out Sixways. It looks quite fun,” Fatialofa said. 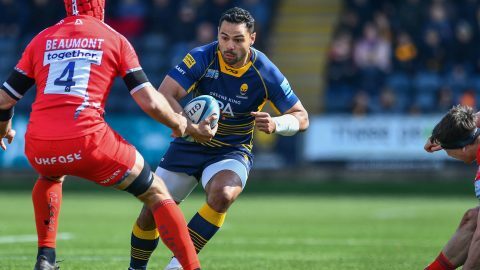 Fatialofa was welcomed to Sixways by Warriors wing Bryce Heem, another former Auckland player, and he is looking forward to exploring the area and further afield. “I’ve had a look round Worcester and I’m staying down the road in Cheltenham. It seems like a lovely area,” he said. Fatialofa arrived in England as the weather took a turn for the worse which may prevent him from indulging in surfing, one of his hobbies. “It is a bit of a shock to the system having a double winter but I’m looking forward to getting to a few hot places on my weekends off,” Fatialofa said.